What a way to celebrate what's supposed to be a happy occasion. TACLOBAN CITY -- There is no reason for the New People’s Army to celebrate their 50th anniversary on Friday after the Philippine National Police (PNP) repulsed rebels in Victoria, Northern Samar early Thursday. In a statement, the Philippine Army said that instead of celebrating, the NPAs in Northern Samar will be mourning after policemen killed three rebels, captured a fighter, and seized high-powered firearms. “The failed attack of the PNP Station in Victoria would also mean failed NPA anniversary celebration in Northern Samar. The army will continue providing support to the Northern Samar provincial police office on the possible apprehension of perpetrators,” said Brig. Gen. Ramil Bitong, commander of the Army 803rd Infantry Brigade based in Northern Samar. The successful defense of the police station was the result of a comprehensive contingency planning jointly conducted army and police in Northern to pre-empt such attacks by the NPA. Government forces came up with a contingency plan after rebels attacked the Lapinig, Northern Samar police station on August 10, 2018. PNP Regional Director Police Brig. Gen. Dionardo Carlos directed PNP mobile forces to intensify their pursuit operation against NPA rebels, saying they have to be “accountable before the law for their criminal act”. “I am directing all PNP personnel to always be extra vigilant and alert in their tour of duty within their jurisdiction to pre-empt similar attacks,” said Carlos who congratulated policemen for repulsing the NPA. In a social media post, the NPA admitted that they are behind the attack and asked its fighters to intensify tactical offensives against government forces in time for the 50th anniversary. The NPA, the armed wing of the Communist Party of the Philippines, is listed as a terrorist organization by the United States and European Union. It will celebrate its 50th anniversary on Friday. 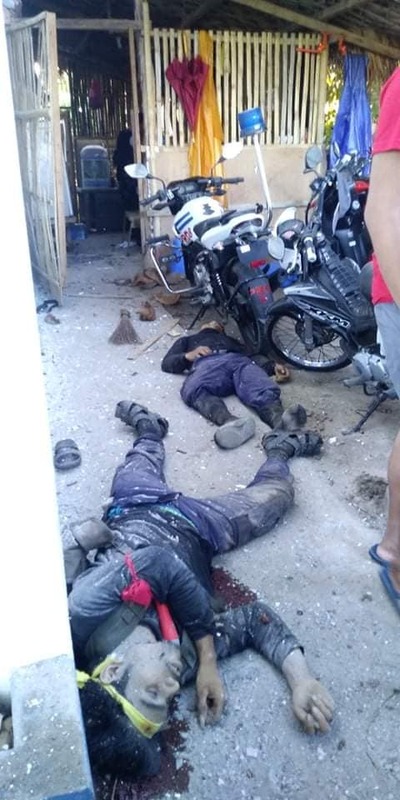 Three members of the NPA were killed when they attempted to overrun a police station in Victoria, Northern Samar early Thursday.